May is always blessed with an abundance of must-read books, just in time for better weather and long evenings of reading on the porch or by the pool. 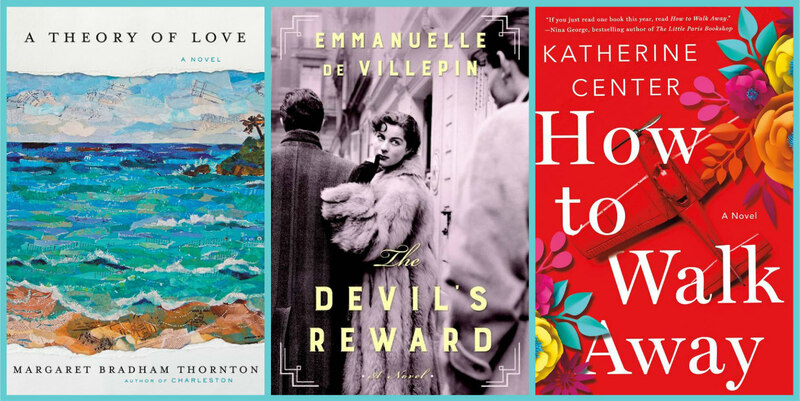 Today’s roundup of woman-authored fiction has an underlying theme of family; the books featured here explore marriage, siblings, secrets, forgiveness, and second chances. Which novels are calling to you? Mr. Flood’s Last Resort by Jess Kidd (Atria, May 1): It’s always hard for me to say no to a novel with Irish characters (though the book is set in London). Kidd's newest centers around the relationship between Maud, a caregiver, and elderly Mr. Flood, who’s determined to live out his days in his dark mansion, over his son’s objections. Both of them have dark pasts and secrets, giving the book a Gothic feel. 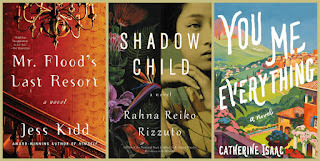 Shadow Child by Rahna Reiko Rizzuto (Grand Central Publishing, May 8): The mother-daughter and twin relationships and the mid-20th-century time period caught my attention. 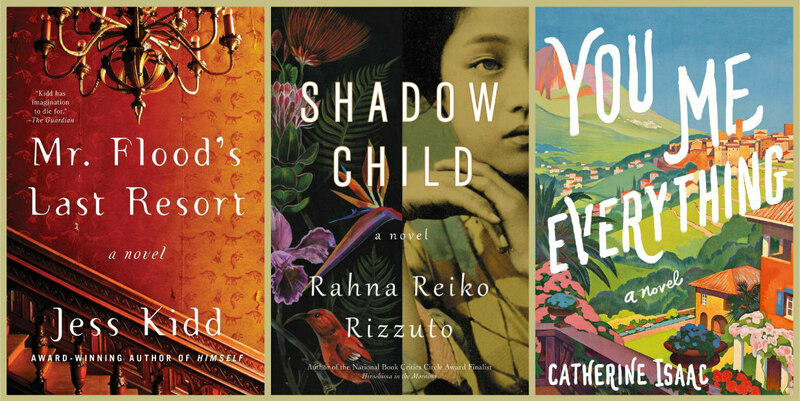 This story of three women (twins and their mother) explores broken family bonds, racism, the Japanese American experience, and the hope for redemption and forgiveness. You Me Everything by Catherine Isaac (Pamela Dorman Books, May 1): I couldn’t resist an uplifting story set in the French countryside. Jess decides to spend the summer in France so her son can get to know his father, who has never been part of their lives. At the same time, Jess can’t help but dream of a romantic reunion, despite her ex-boyfriend’s own future plans. A Theory of Love by Margaret Bradham Thornton (Ecco, May 8): I’ll read pretty much anything Ecco publishes. When a cutting-edge British journalist meets a French American financier, sparks fly. But is their relationship and eventual marriage based on intimacy and partnership or on a lifestyle that takes them around the world and feeds their individual ambitions? The Devil’s Reward by Emmanuelle de Villepin (Other Press, May 1): I like the way books in translation broaden my perspective. Three generations of tense mother–daughter relationships in a French family may find resolution as stories and secrets of the past come to light in a Paris apartment. Other themes include marriage, fidelity, and personal freedom. How to Walk Away by Katherine Center (St. Martin’s Press, May 15): One of my favorite plot lines is how life can utterly change in a single moment. Margaret’s future is bright, complete with a dream job and fiancé, until it suddenly isn’t. Reviewers promise that this book about the struggle to find a silver lining even under the worst circumstances is neither sappy nor depressing. All of these are new to me and they look good. These are new to me and I think I'd enjoy them all, especially Mr. Flood’s Last Resort. I will have to look more closely at these. 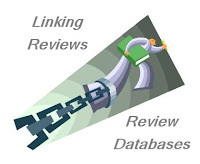 Thanks for sharing them and Happy Reading! Thanks! Three went on my TBR list. How to Walk Away sounds like one I'd enjoy!